This gallery is reserved for images submitted to the "Honest Feedback & Critique Community". I realize I'm too close to my work, and I often I find the images I like best aren't that well received by others. Conversly, some of the more popular ones languish for years until they are"rediscovered" by accident. So, please feel free to tell me what you think about any or all that you see. 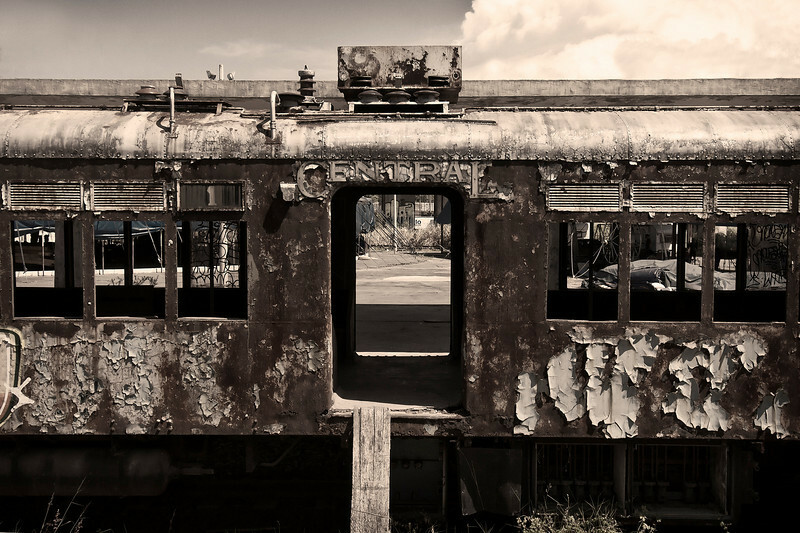 The remains of a passenger train car in an abandoned rail platform. This car was a commuter car with both benches and overhead hanholds.